We offer a variety of web design, web hosting and computer related services all at a fair price. We understand that price is always a consideration so we are very up front about our pricing. No "contact us for a quote" or "fill out the form and we'll get back to you", just our prices in simple black and white. We quote every job based upon your needs and goals and we will sit down with you and do a detailed analysis of your needs. However we've been doing this long enough to know that most projects fit into one of these packages. Services and options can always be added. Yes, we post our prices - we always wondered why other companies don't. All of our packages and quotes include everything you need to get up and going on the web. We don't make our money off of hidden costs and we don't expect you to be an expert on web design to know everything you need. That's our job and we'll take care of it. We offer three basic hosting packages which will fit most of your web hosting needs. The packages vary in price and the number of features, space and bandwidth. You can upgrade or downgrade your type of package at any time through your control panel without losing any of your settings or incurring any setup charges. We recommend starting with our basic package, T250 and see if that works for you. If you find you need more features you can upgrade. A note on space: In comparing our packages you may notice that we offer slightly less web space than some other hosting companies. We do this for a very simple reason - you'll never use that extra space! Our very largest web sites take up less than 100mb. Reserving your domain name is an important first step in setting up a presence on the web. Over 10 million domain names are registered world wide, 6.5 million using the .com domain. A trademark or a registered company name is no guarantee that your domain will still be available when you decide to put your company on the web. Most of our clients choose to have Trailhead Web Design update and maintain their web site for them. Most maintenance and update items can be handled through email. For this choice we offer maintenance packages or we can work on an hourly basis. Regardless of which alternative you choose we always include one hour of free maintenance after your web site is complete. 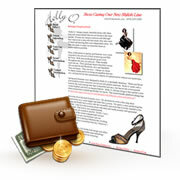 That way if you have small changes or additions you don't need to worry about extra costs.